Since starting in September last year the UNITS Study has worked closely with members of the CASEVAC Club, made up of veterans who were injured in recent operations in Iraq and Afghanistan. CASEVAC Club member Simon Harmer came across the study online and, after learning more about its aims, has made himself available to help in any way he can. 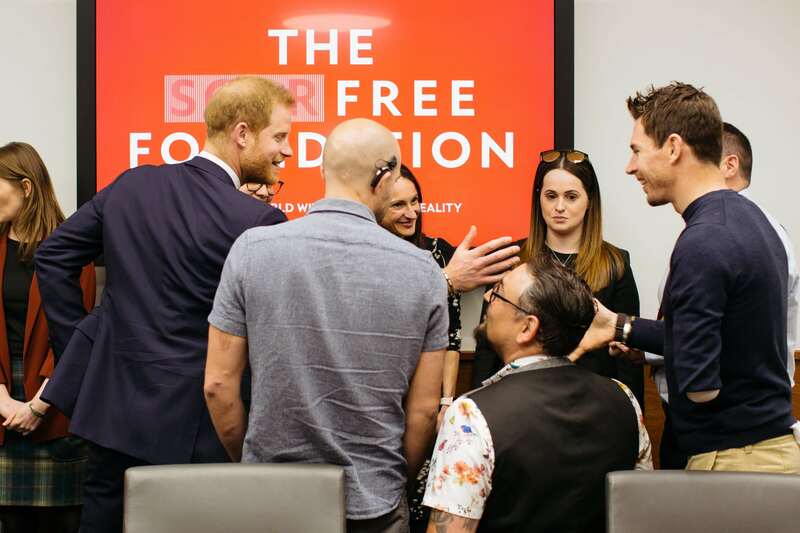 Discussing why he decided to get involved with the project, Simon explained, "I can see the clear benefits for veterans and serving personnel who have been injured and are living with scars. A lot of us have young families, and it can make you feel uncomfortable if on holiday for example you are just being constantly stared at. At the end of the day, for me recovery is physical, but of course appearance does come into it too, particularly with some of the injuries that I have seen. We just want to get on with our lives and move forward." The CASEVAC Club has played a key part in the design of the study and are now helping to recruit participants for the first stage of the project, which seeks to interview serving and ex-serving personnel and family members. Simon told us that "The CASEVAC Club have helped raise the profile of the UNITS study and have enhanced its credibility. By collectively supporting the study, we have given it a rubber stamp of approval amongst the veterans' community which will hopefully encourage more people to get involved." The UNITS study, led by Dr Heidi Williamson, Professor Di Harcourt and Dr Mary Keeling, has involved the armed forces community from the start. Mary told us how "Veterans are involved in our study in various forms. We have veterans who have assisted us in the development stages as public involvement advisers and we are now recruiting veterans for participants." Commenting on their partnership with the CASEVAC Club, Heidi explained, "Working with members of the CASEVAC Club and including them on our steering committee has helped us in so many ways, from disseminating the information of the study to the members of their club to reviewing our recruitment materials. The key word is partnership. It means that we aren't just conducting research for the armed forces community, but actually with the armed forces community. Working in partnership with this community from the start means that we can design a study that will have the highest possible impact." The study is currently recruiting for participants who have been injured in active service anytime between 1969 and present day. If you are interested in finding out more, or would like to get involved with the study, then please email [email protected] to receive an information pack. Alternatively, you can follow @unitsstudy on Facebook and Twitter to be kept up to date with their progress.